Comments: Student Edition. No apparent missing pages. Light wrinkling from liquid damage. Heavy wear, fading, creasing, Curling or tears on the cover and spine. May have used stickers or residue. Good binding with NO apparent loose or torn pages. Heavy writing, highlighting and marker. Supplemental materials are not guaranteed with used books. 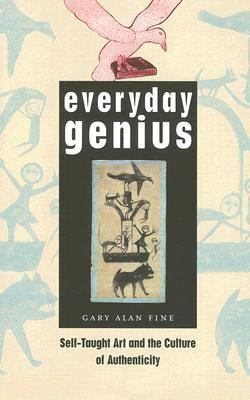 Gary Alan Fine is the John Evans Professor of Sociology at Northwestern UniversityFine, Gary Alan is the author of 'Everyday Genius Self-taught Art And the Culture of Authenticity', published 2006 under ISBN 9780226249513 and ISBN 0226249514. Loading marketplace prices 146 copies from $4.99 How does the rental process work?